Remember to keep your contact information current! If you change your e-mail address, please update it in your profile so we are able to keep in touch with you for future reunions and/or other events. Do you know where a missing classmate is? Please direct them to this site and encourage them to create a profile page! 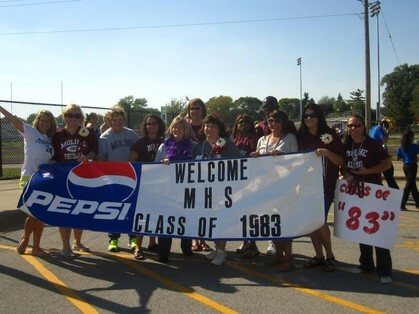 MHS CLASS OF 1983 has a Facebook page! Check it out and please 'LIKE' us! PLEASE NOTE: To avoid any messages from the site from going into a 'spam' folder... be sure to 'whitelist' postmaster@classcreator.net.. This will allow e-mail to come through from the site and ensure that e-mail that may not ordinarily get through will now be received every time. NOTE: this class creator system does not send spam mail of any kind to you.